Stanley and I visited Washington DC this weekend and we managed to take a few pictures. Here are two of our favorites. 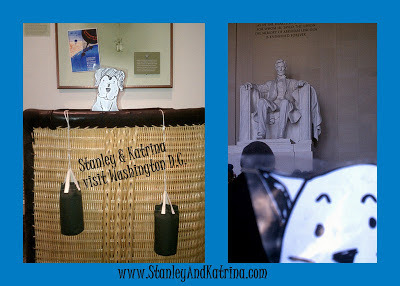 Stanley is sitting in a basket at the Air & Space museum and I am trying to get closer to the huge statue of Lincoln. What did you do this weekend?